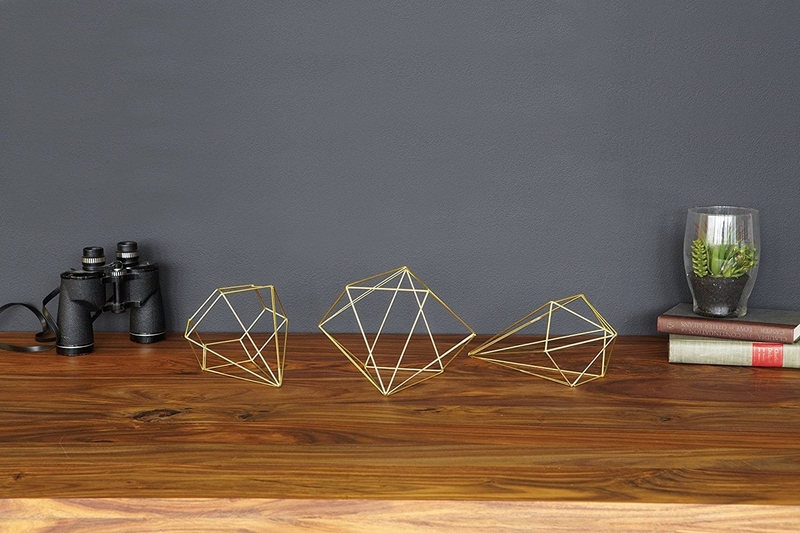 Prisma is a multifunctional metal wall décor designed by Joel Yatscoff. 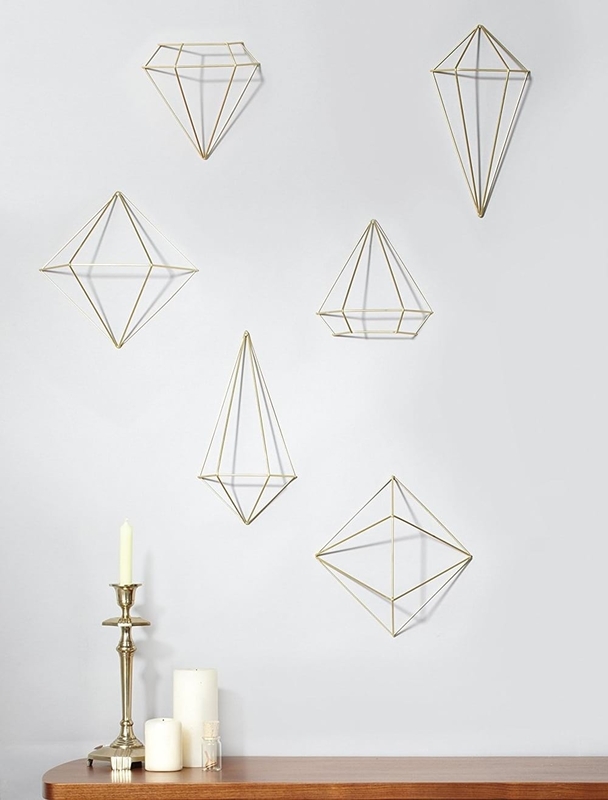 These brass plated metal geometric shapes can be hung from the ceiling, wall mounted, or displayed on any table surface. 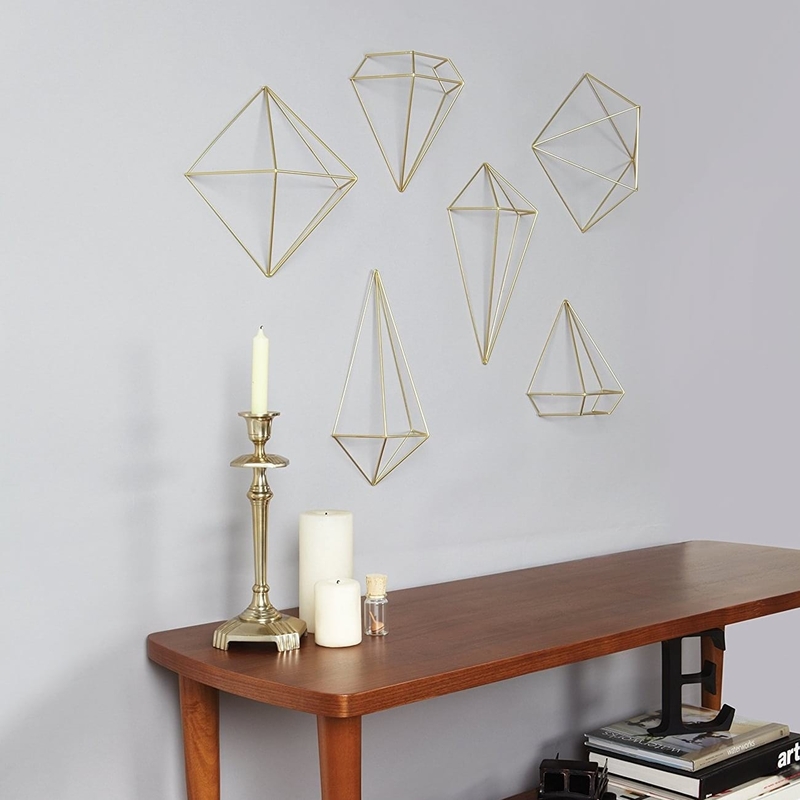 Update your space instantly using plastic clips to join two pieces together to complete a set of three, or wall mount the complete set of six. 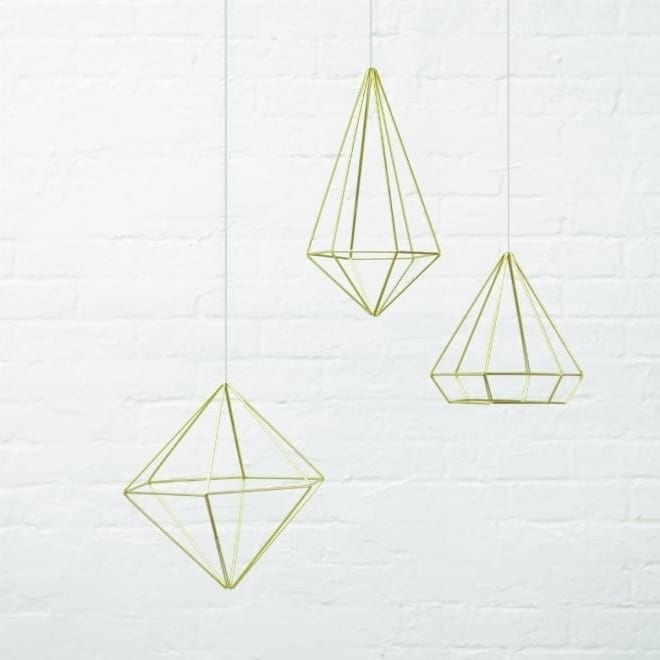 The inspiration of the design was to create a decorative element that when combined together define a mass of volume while remaining very visually light. 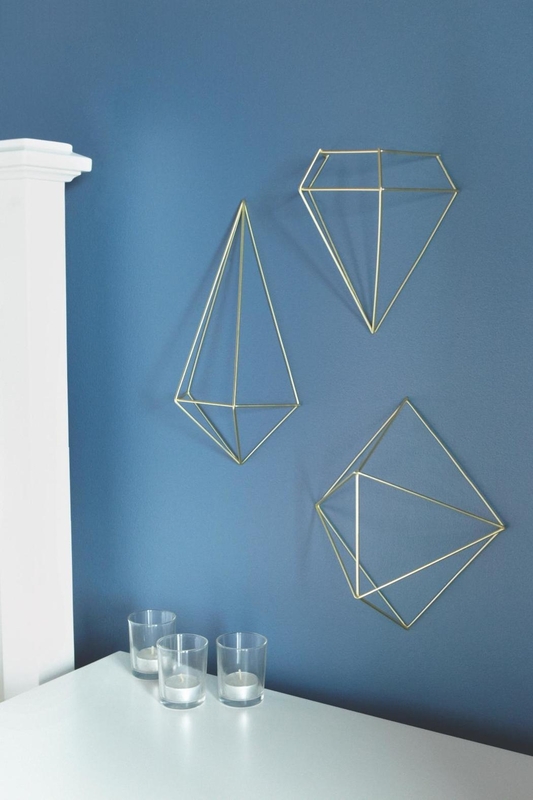 Even on the wall, they look like primitive diamonds, half embedded within the wall but still occupying space and creating a presence. 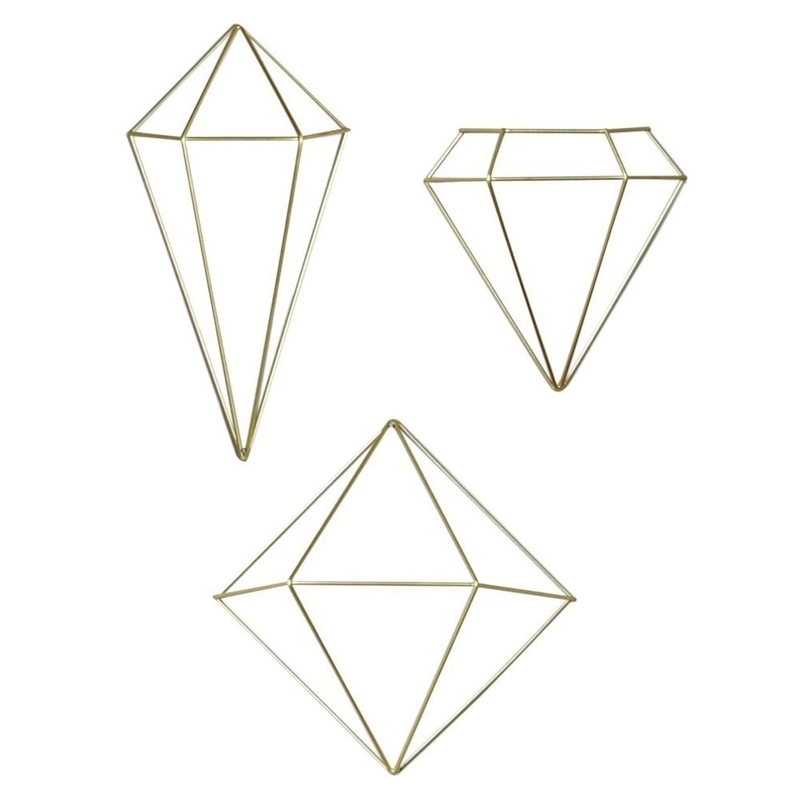 With a few sets hanging from the top of a staircase, you will really create a beautiful impact as you climb the stairs. 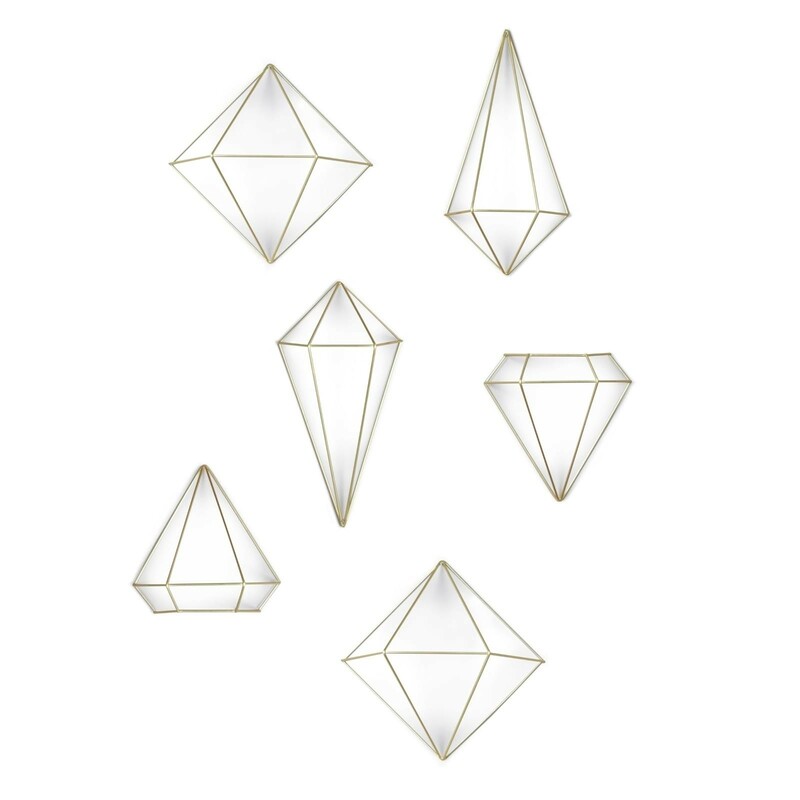 These innovative decorating objects, can be arranged to reflect the individual style of the owner, they can be wall mounted, ceiling mounted or used as table décor. 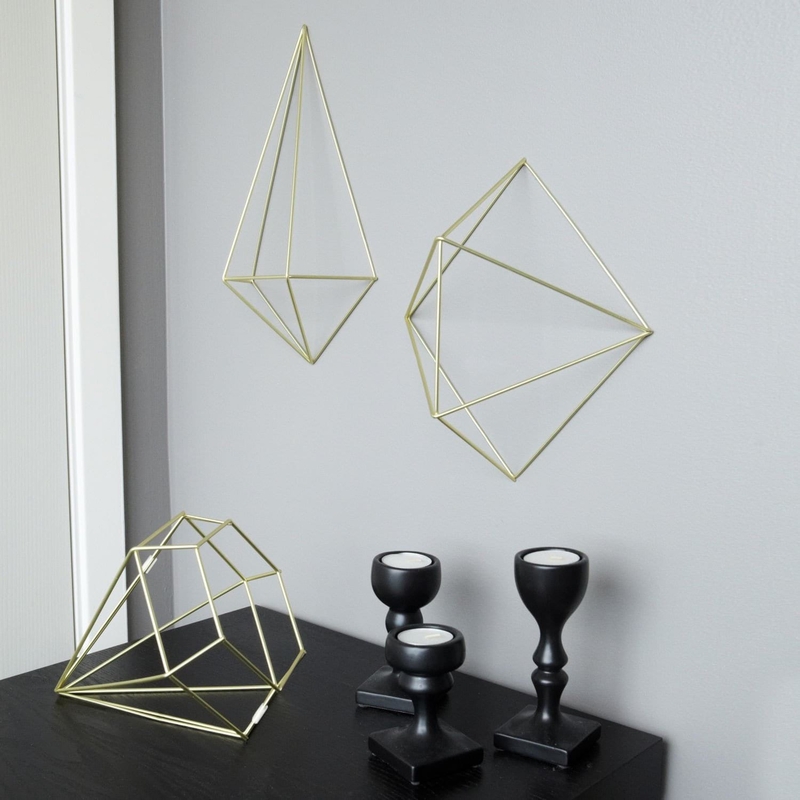 Set of 3 geometric shapes (6 wall decor pieces). 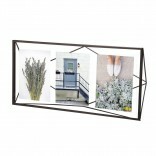 Dimensions: Three sizes: 25.4 x 22.9 x 22.2 cm, 15.9 x 31.1 x 14 cm, 17.8 x 18.4 x 15.2 cm.